This is the second component, interacts straight with our head and is the most important part of a standard motorcycle helmet. This liner is usually made of EPS (Polystyrene) and its density of matter is different at every single place that touches your head. While the exterior helps reduce impact shock and scratches, this liner helps slow down the movement of the compression force, absorbed almost the entire impact through collision, align the material’s surface equally and protect your head from injuries, some of which are the main cause for brain damage in accidents. This part makes your head feel comfortable when wearing a motorcycle helmet. A good helmet will have a soft enough liner to keep all the tension away from your head after a long time of use. There is one thing you need to notice when choosing a helmet, remember to get the helmet that has the comfort line fits your head perfectly so that you don’t feel uneasy every using time. This is the part used to decide the helmet’s size. The helmet suits you is the helmet for you. If it’s too small, you will definitely suffer from a headache caused by a too tight helmet, but too big isn’t better at all, the inner part’s function will be limited significantly and won’t be able to fully protect your head from damage. It’s easy to see how important and necessary the face shield is, It lets you see the road while dust or dirt can’t hurt your eyes, forehead, and face. And when you go on high speed, this shield piece is normally made ò Polycarbonate plastic. Experts call these “Retention system”. It links all of the helmet’s parts together, with the ability to overcome standard limits and elastic force resistance. Everything will be checked and tested carefully before handling them over to the customers. These include very strong springs and hinges and they’re all strictly examined for quality check. The straps help secure the helmet to your head, If you do it right, the helmet will be attached to your head neatly to keep you safe from harm. Above are a standard motorcycle helmet’s structures. 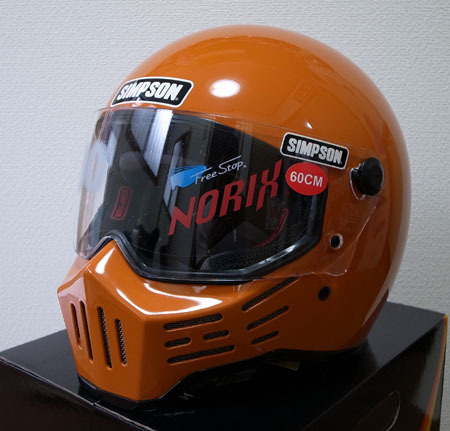 The helmet is the most important and necessary equipment to all the people who use motorcycle. Therefore, let us all be a wise, smart user and cherish yours as well as others’ live. Get yourself the best motorcycle helmet now to protect yourself and others from unwanted accidents. Click this to choose your companion on every corner of the road. My name is Bradley Miller; I own a car and a motorcycle. My love for motorcycles is not new-found, I remember wanting to ride a motorbike since my childhood days. As soon as I could afford my own vehicle I bought a Triumph Street Triple 2011 made. I am from Austin, Texas and the weather is pleasant here for most time of the year.